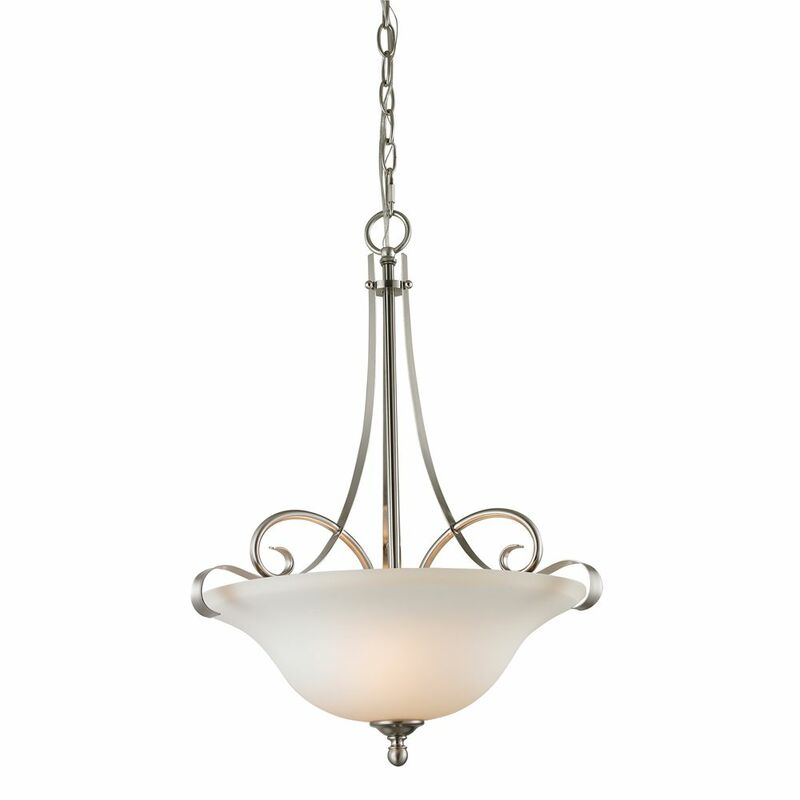 Harkening back to a simpler time, the Inspire Collection freshens traditional forms with flowing lines. Oval metal arms gracefully support off-white linen shades. 3 Light Pendant In Brushed Nickel With Led Option This elegant pendant light features a smooth flowing design with metalwork finished in brushed nickel and a beautiful white glass shade.